Join PHCC signatory contractors from across the country for the Union-Affiliated Contractors (UAC) Management Conference – focused on helping you navigate the opportunities and challenges facing your business today and in the future. Education topics include: Legal Clinic, Prevailing Wage, Effective Contract Negotiation Strategies and Chapter Best Practices. Register by February 28, 2019 to take advantage of group discounted rates. Rate includes full American breakfast. Credit card is required to secure room reservation. Receive a warm welcome to the Chicago area on Wednesday night. Visit with friends and colleagues and enjoy complimentary beverages and snacks in the Illinois PHCC hospitality suite at the Hilton Chicago/Oak Brook Suites. Included with registration. Join a behind-the-scenes guided tour of the inner workings of the aquatic filtration system serving the dolphin, pinniped and polar bear exhibits at one of the most popular and respected zoological parks in the world. You’ll travel by shuttle bus from Drury Lane, departing at 9:00 am and returning by 11:30 am in time for the UAC Annual Meeting and Working Lunch. Transportation provided and cost included with conference registration. Reports, discussion and the latest news regarding the United-Affiliated Contractors of PHCC will officially open our UAC Management Conference along with a buffet-style lunch. Our legal experts will field common and uncommon questions (“the ones contractors and execs should ask but rarely do”) on a range of relevant topics: withdrawal liability; trust funds; succession planning; fund office audits; employee policies; prevention of harassment charges and how to address them if they occur; and more. Ask a question, or hand one in anonymously to get the answers you need. Learn about the pitfalls to avoid, discuss a variety of situations, and gain worthwhile advice. As the Executive Director of CISCO (Construction Industry Service Corp.), one of our nation’s largest management and labor cooperatives, Dan Allen follows and interprets workplace trends and news, and is an experienced authority on Prevailing Wage, laws, enforcement and violations throughout the U.S. See how keeping a fair level playing field with union and merit shop contractors is an ongoing yet achievable challenge during this informative session. Contractor leaders are often called upon by their Associations to take part in collective bargaining (union contract negotiations), and it’s rarely a fast or easy task. Led by seasoned management attorney Rick Samson, this session will explore best practice strategies for bargaining – from selecting your team, to choosing a spokesperson, to formulating realistic proposals that can (or might?) lead to reasonable settlements, and to properly utilizing your Association staff. What are mandatory subjects of bargaining, and which are not? Why? What happens when impasse is reached? What about strike threats, or lock-outs? How can you determine if an offer is fair, or not? These and other key topics will be covered, along with your questions. •	Your By-Laws: what they say, and are you following them? Is it time to revise them? •	Documents: are they up-to-date, can you find them, and who can ask to see them? Steve will also answer your many questions and may “turn the tables” on attendees by testing their knowledge about what signatory trade associations can do, can’t do, and probably should do to be effective and to stay clear of trouble. Featured will be the UAC Chairman’s report, an overview and progress of our Strategic Plan, the latest news and information regarding the UAC and audience questions & answers. Lunch will be provided. Hosted and sponsored by the PCA Midwest/Plumbing Council for signatory contractors, union members, VIPs, apprentices and invited guests, all UAC conference attendees are welcome to enjoy refreshments in a private area. Join us for conversation and a break from the busy activities of the conference and the IL PHCCS’s Expo & Product Show (which runs from Noon-5:00 pm on Friday, March 22). Daniel P. Allen. 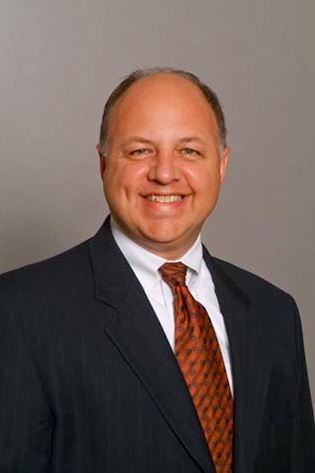 Executive Director - CISCO Daniel P. Allen began serving as the Executive Director of CISCO (Construction Industry Service Corp.) in August of 2013. Under Dan’s leadership, CISCO has continued to maintain its prominence as a labor-management association within the union construction industry. Allen came to CISCO from the City of Chicago, where he was Chief Electrical Inspector for 10 years. During his 30-year career with Chicago, he worked his way up the ranks from Inspector to Supervisor to Chief of Inspectors. A proud member of IBEW Local 134 since 1982, Allen is also affiliated with the Electrical Contractors Association serving on the Chicago Building Code Advisory Commission, and City of Chicago Electrical Commission. Allen currently serves on the Boards of Directors of the Chicago Building Congress, Access United, Choose DuPage (County Economic Development), the Workers Compensation Research Institute, Gateway to Learning, and the DuPage Workforce Development Board. Allen has a BA in Business Economics from Benedictine University in Lisle. He is married and has four children and resides in Chicago. Wesley (Wes) joined Laner Muchin in 2008 as an associate and has been a partner at the Firm since 2014. Wes focuses his practice on all aspects of employee benefits law, including health and welfare benefit plans, defined contribution plans, defined benefit plans, and multiemployer plans. Wes' practice also includes counseling clients as to compliance with various federal laws, including the Affordable Care Act, HIPAA, ERISA, the Internal Revenue Code, and the correction of qualified retirement plans through the correction programs available through the IRS and DOL. Wes also counsels clients as to fiduciary best practices and qualified retirement plan compliance. He is a frequent speaker to benefit and human resource professionals and author on various benefit topics and provides training to HR Departments on a number of benefit-related matters. 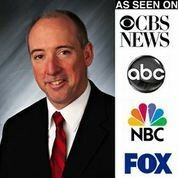 Wes is the editor and frequent author of the Firm's e-newsletter, The Fast Laner. Wes is originally from West Union, Ohio, and resides in Chicago, Illinois with his wife and two daughters. Amber joined Laner Muchin in 2009 as an associate and has been a partner at the Firm since 2015. 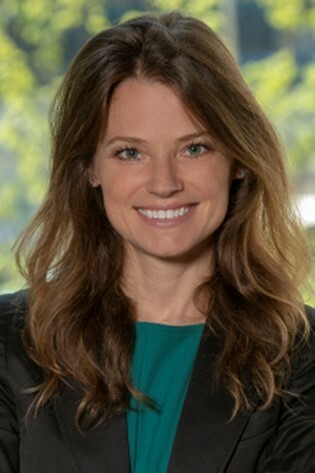 She regularly counsels clients on compliance-related and strategic issues arising under a broad range of federal, state and local employment laws. Amber conducts employment-related corporate investigations in a variety of settings and frequently conducts supervisory training on a number of employment topics including maintaining a discrimination and harassment-free workplace; effective documentation and discipline; and positive employee relations. Amber also represents employers in labor law matters including labor arbitrations, collective bargaining, representation cases and other proceedings before the NLRB. Stephen L. Lamb, CAE Steve Lamb was Executive V.P. of the Mechanical Contractors Association of Chicago from 1994 - 2016. MCA has a staff of eight and bargains for 400 union piping contractors with the 9,000 member Pipefitter LU 597. Lamb attained the Certified Association Executive designation in 1997. 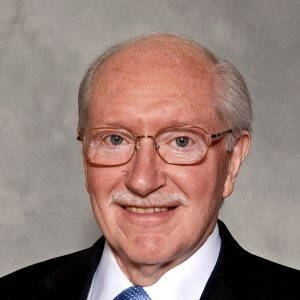 In 2012, he attained the Master Facilitator designation from the Leadership Access Institute, Richard Barnes, President. He has attained the Master Trustee Certification from the International Foundation of Employee Benefit Plans (IFEBP), and is now a Professional Trustee on the Ironworkers LU 473 Welfare and Pension Funds, as well as the Teamsters LU 703 Funds. Nationally, Lamb is past Chairman of the MCAA - Association Executives Council. He was the facilitator of the first – ever United Association of Plumbers and Pipefitters/MCAA Strategic Planning effort. He has facilitated planning sessions for more than two dozen MCAA affiliates as well as numerous SMACNA, PCA, and AGC Chapters, and labor-management and labor-management-owner (tri-partite) groups. In 2012, Lamb helped develop the MCAA “Best Practices Reviews” program for MCAA, and recently instituted the Best Practices Review 2.0, which focuses on future-thinking. To date, he has performed more than 40 local association reviews as a part of this program. In 2016, Lamb was retained by MCAA as affiliate Best Practices Mentor. Roger serves as the President of Vista Safety Consulting, LLC. He has over 25 years of experience in health & safety and during this time has acquired a wide range of technical and management skills. Providing professional advice to a broad range of industry sectors including construction, manufacturing, retail, food processing, and temporary staffing, Roger utilizes his knowledge in all aspects of health and safety and risk management to deliver innovative solutions and cost-effective measures for managing clients’ risk. Before starting up Vista Safety Consulting, Roger managed the safety consulting division for a major insurance brokerage firm in Schaumburg, IL. Prior to that, he worked for a global engineering firm as well as a large ladder manufacturer. Mr. Samson has represented management in all aspects of labor and employment law for over 27 years with a particular emphasis on traditional labor law. He has also litigated cases before federal and state courts as well as state and local agencies in employment discrimination and wrongful discharge actions. He routinely advises clients on a host of employment-related issues including employer investigations, claims of harassment, employment policies and social media. In the traditional labor arena, his experience covers the gamut of issues arising under the National Labor Relations Act including matters affecting both unionized and non-union employers in litigation, trial work and day to day counseling. He has experience in a variety of industries including construction, ready mix supply, material supply (aggregate mining), steel, light and heavy manufacturing, retail, food distribution, theatrical production, casinos, meatpacking and assisted living. He regularly appears on behalf of employers before the National Labor Relations Board in the defense of unfair labor practice charges and in representation cases. Over the course of his career he has handled such matters throughout the country in the Labor Board’s various regional offices including Chicago, Milwaukee, Peoria, Minneapolis, Indianapolis, Detroit, Kansas City, Cincinnati, Cleveland, St. Louis, Oakland, New Orleans and Philadelphia. Mr. Samson has been an adjunct professor of law at IIT Chicago-Kent College of Law where he taught a course on the law of employment relationships and established a seminar class on employee privacy rights. 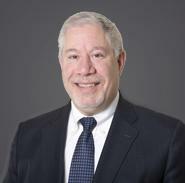 Jim joined the predecessor to Laner Muchin in 1989 and has been a partner in the Firm since 1994. Jim focuses his practice on all aspects of employee benefits law including drafting defined benefit, defined contribution and welfare benefit plans. In addition, Jim serves as counsel to several multiemployer benefit funds and Associations. Jim is also a frequent speaker and represents employers in withdrawal liability and delinquency issues for multiemployer plans. He also represents benefit plans in IRS and DOL audits and investigations. 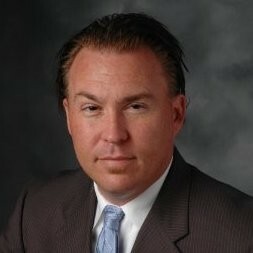 Jim also represents businesses in mergers and acquisitions. 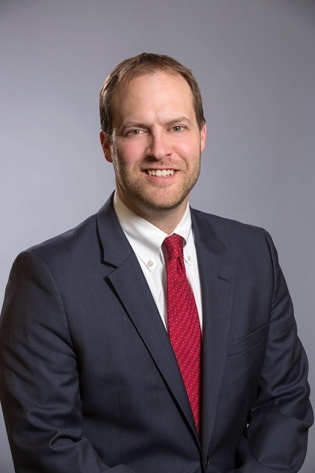 His responsibilities include: drafting, amending and terminating qualified plans; IRS and DOL plan audits; analyzing the impact of new legislation; and advising clients on the tax consequences of qualified plans on the employer and plan participants. Upon graduation from law school, Jim became a staff attorney at an employee benefits consulting firm. Prior to joining the Firm, Jim was associated with a business law firm where he continued to specialize in employee benefits. He has authored articles on employee benefit issues and has lectured before professional groups.